These earrings are handmade using sponge coral, mother of pearl and sterling silver, and are sure to catch attention! 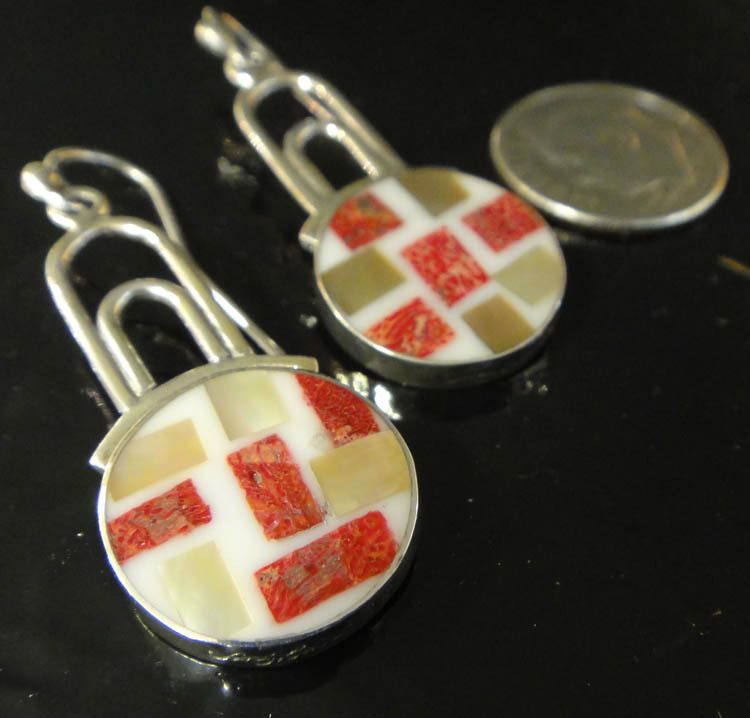 These earrings are handmade using sponge coral, mother of pearl and sterling silver, and are sure to catch attention! 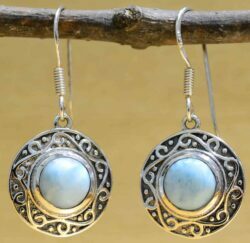 The earrings feature a hook style ear wire that slips easily into the ear and a unique mosaic design set in sterling silver. 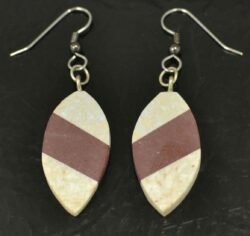 These earrings would make a great gift for anyone who likes handmade artisan jewelry. 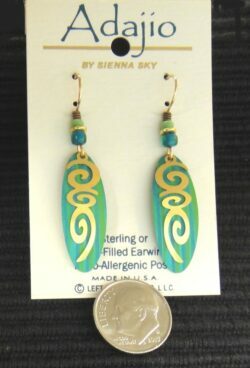 The earrings are long and lean, measuring 1.7” long (including the ear wire) and .6” across. 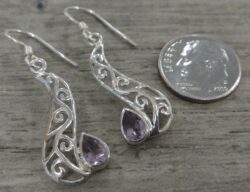 Please note that the dime in the picture is not included, but is used to help you gauge the size of the earrings. 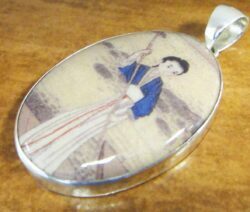 Sandy Baker jewelry is all handmade in the USA. 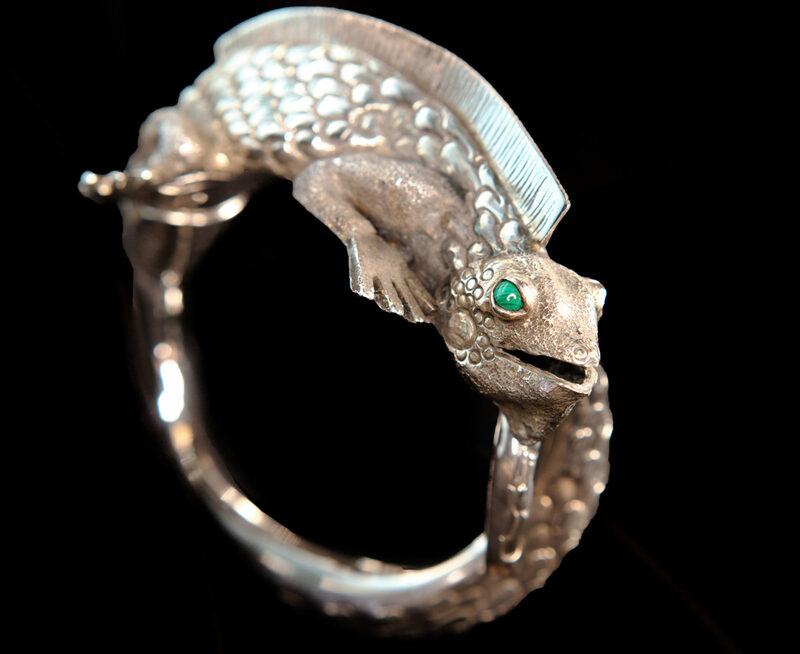 All Sandy Baker jewelry features sterling silver and has been signed by the artist. 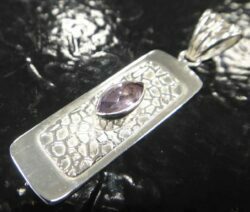 All jewelry is also stamped “925” so you can rest assured you are getting genuine sterling silver jewelry. 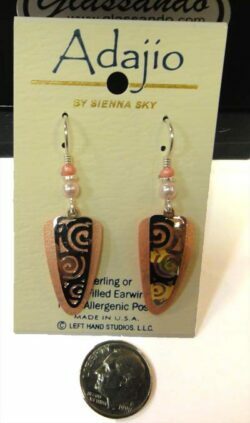 The jewelry comes with a card with a picture of Sandy and the phrase “Hands and a heartbeat behind each piece.” This brand new jewelry comes with our original store tags and a gift box.